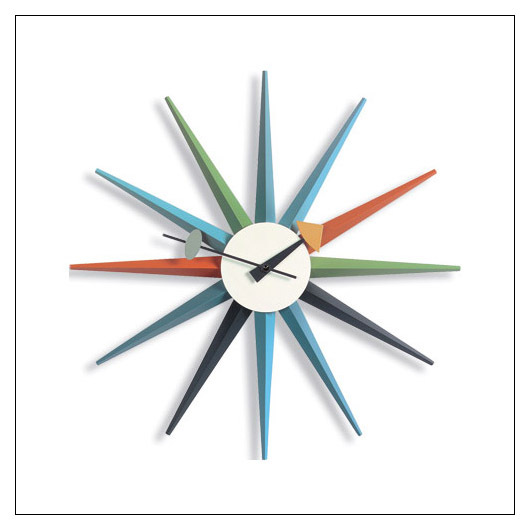 George Nelson Sunburst Clock (VITSUNBURST) at Pure Design / Accessories / Clocks ::: Furniture for the Home, Office, Home Office, and More at Pure Design Online! These clocks truly embody the joie de vivre of the 1950s! A modern classic, the Sunburst Clock is a refreshing alternative to today's common timekeepers. Please allow 7-10 days to ship. "Lower 48" US sales only.